I’ve let my long-time friend and Executive Director, Mark Surman, know that April 10th will be my last day as an employee of Mozilla. The last 5 years have been an amazing ride. I’m proud of what we’ve accomplished. There are learning, fundraising, and advocacy programs where there weren’t before. We’re empowering hundreds of thousands of people to teach each other the web. We’ve built a $15M/y fundraising program from scratch. And we’ve helped Mozilla find its voice again, playing a lead role in the most significant grassroots policy victory in a generation and the largest ever in telecommunications: the battle for net neutrality. 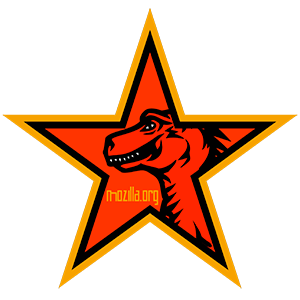 I’m grateful to Mark and Mitchell Baker for the opportunity and trust to help build something great, to my colleagues for their focus and dedication, and to all of Mozilla for fighting the good fight. While the 10th will be my last day as an employee, I’ll be around until the end of June as a consultant, helping with the transition of my portfolio to new leadership. I’ll announce my new home closer to that time. For now, as always, once a Mozillian always a Mozillian. Thanks again to all of you. I’m looking forward to seeing what we accomplish next. 2013 was an amazing year. Which is why I’m especially proud of what we accomplished in 2014. We doubled our small dollar performance. We tripled our donor base. We met our target of 10,000 volunteer contributors. And we matched our exceptional grant performance. We also launched our first, large-scale advocacy campaign, playing a key role in the Net Neutrality victory. But best of all is that close to 100 Mozillians share the credit for pulling this off. Here’s to 2015 and to Mozilla continuing to find its voice and identity as a dynamic non-profit. A big thank you to everyone who volunteered, gave, and made it happen.